This year Advent will begin on Sunday, November 30th, which is only just over two months away! 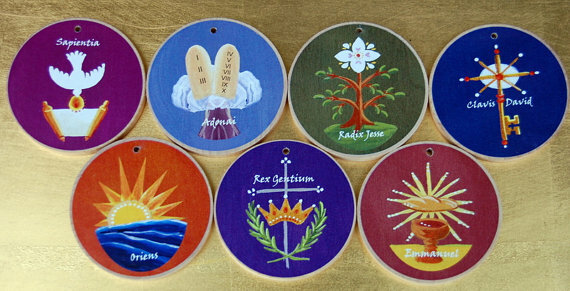 Now is a great time to place an order for a set of Jesse Tree Treasures beautiful Jesse Tree or O Antiphon Ornaments. Our family has been using our sets from Jesse Tree Treasures for the past few years now and they are always a beautiful addition to our Advent and Christmas traditions at home. 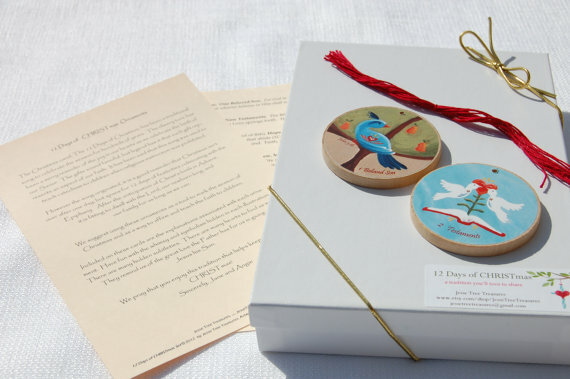 Jesse Tree Treasures has generously offered to give away one of the rustic O Antiphon sets and one of the new the new 12 Days of Christmas sets (which are now in a circle shape instead of square) to my visitors here at Shower of Roses! These stunning wooden ornaments reflect the light of Christ coming in the darkest part of winter as an infant in a manger. 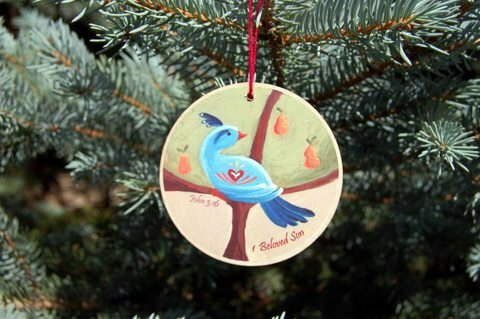 They are specially created to coordinate perfectly with our Jesse Tree ornament sets. The are extremely durable and scratch, stain, and water resistant. The "O" Antiphons are a monastic tradition dating back to the 4th century. The antiphons are recited during evening prayer. This makes an excellent family devotion for the week before Christmas, as it helps to build the anticipation of Christ's coming. These antiphons have great significance. Each begins with and "O" and calls Jesus a unique title which comes from the prophecies of Isaiah. 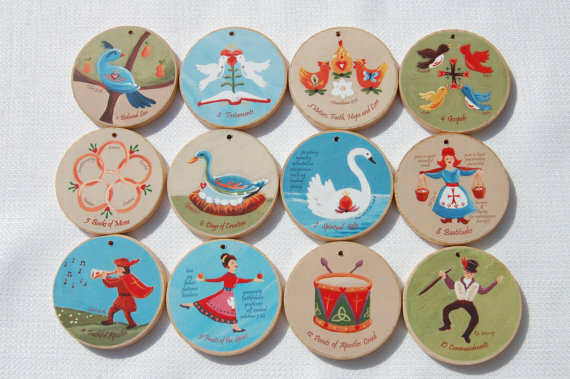 Each set of seven ornaments also comes with a devotional booklet. The antiphons correspond to a verse from the traditional hymn "O Come, O Come Emmanuel". These verses are included in the devotional, as well as the corresponding scripture and a short devotion. These are sure to become a family treasure and a tradition you love to share with those dear to your heart.
.: 12 Days of CHRISTmas :. Christmas is a season! 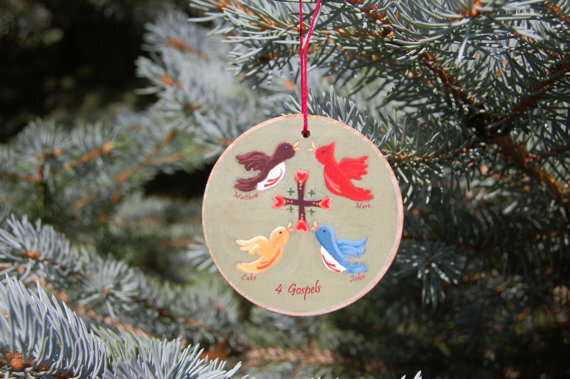 Enter into the full 12 days of Christmas with these fun and faith filled ornaments. They are based on the beloved song "The 12 Days of Christmas" and focus on the faith filled meaning behind each of the gifts. The cheery tune has been a merry reminder of the joy in our hearts as we celebrate the birth of our Savior. The gifts sound fanciful, but legend has it that each gift represents an aspect of our faith. It has been said that this song was used to teach catechism to children when religious instruction was prohibited. However the song originated, it is a good reminder that Christmas isn’t over after one day, but spans for 12 days of festivities culminating with the Epiphany. After the anticipation of Christ’s birth in Advent, these help us to celebrate and learn about the newborn king. We suggest using these ornaments as a tool to mark the season of Christmas and as a way to affirm and teach the faith to children. For your reference, the religious meanings referred to are: (1) Jesus, (2) Testaments, (3) Theological Virtues, (4) Gospels, (5) Books of Moses, (6) Days of Creation, (7) Spiritual Gifts, (8) Beatitudes, (9) Fruits of the Spirit, (10) Commandments, (11) Faithful Apostles, (12) Points of the Apostles Creed. Two winners will be chosen for this giveaway. 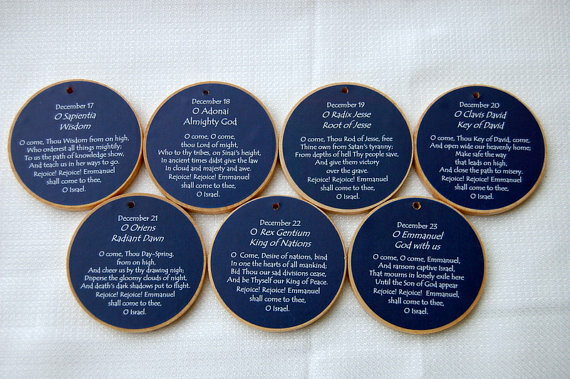 The first will receive the O Antiphons set and the second will receive the 12 Days of Christmas Set.